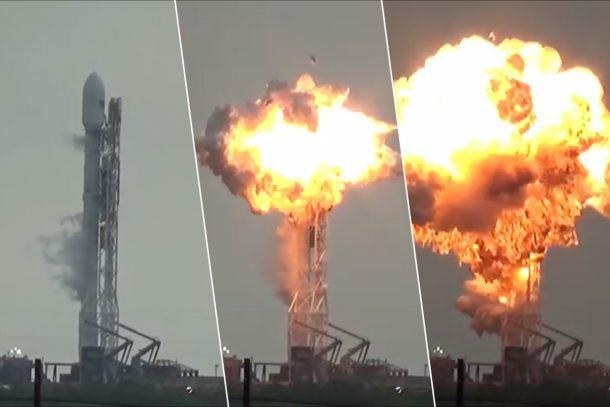 After the SpaceX explosion at Cape Canaveral, it was immediately speculated that this could lead to the company’s future missions being delayed by at least a year. It seems that the reality is much worse, as NASA has announced that the first manned flight of SpaceX’s Crew Dragon spacecraft will not launch until 2018. The SpaceX Demonstration Mission 2 is delayed from the second quarter of 2017 to May 2018. Although no official reason for the delay has been given, it is quite possible that this is related to the unfolding investigation of the launchpad explosion of a SpaceX Falcon 9 rocket on September 1. The September accident is has been under investigation by experts from SpaceX, the US FAA, US Air Force, and NASA. With SpaceX founder and CEO Elon Musk calling it the most complex problem in his life to rumors of the explosion being an act of sabotage, the exact cause explosion remained unconfirmed. But as the dust settled, various theories were debunked one by one, and it is now believed that the explosion was caused by the failure of one of the liquid helium bottles while fueling it in the second stage liquid oxygen tank. After this revelation, the unorthodox fuelling procedures adopted by SpaceX has also come under scrutiny. Normally, the fueling is done before the astronauts board to maximize safety. However, SpaceX has been using supercooled liquid oxygen to get greater efficiency while fueling and improve rocket performance. Because the oxygen has to be kept at extremely low temperatures, this means that it must be loaded after the astronaut crew board the shuttle, much to the ire of NASA. Until the FAA clears the Falcon 9 on all procedures, it will remain grounded. Elon Musk has said that the helium bottle failure was caused by the supercooled oxygen freezing on the graphite fibers attached to the outer surface of the helium bottle. If the investigation finds this to be the case, SpaceX will have to change their fueling procedure, with NASA needed to approve them. They might also have to redesign and refit the Falcon 9. NASA can make SpaceX abandon the usage of supercooled oxygen altogether, leading to a reduced performance of the booster. And finally, if SpaceX doesn’t comply, NASA may refuse to man rate their technology, forcing SpaceX to look for an alternative rocket.